If you’ve heard somewhere that music lessons are a great way to teach discipline, rest assured it’s true. But how exactly does discipline evolve from music? Kids are naturals at lots of activities. From building with blocks to creating art to playing make-believe, there are some things that need nothing more than imagination. But most kids balk at the thought of having to practice continually to do something well. They aren’t born with the self-discipline required to learn perfection. Self-discipline is perhaps one of the most valuable skills a person can have in adulthood. However, much of this skill is best learned during childhood, where learning is a natural part of living. If you want to capitalize on your child’s innate ability to learn new things, music lessons for kids can teach a level of self-discipline that even some adults still haven’t mastered. Just as athletes need to practice to become better at sports, kids must also practice to become better musicians. After your child’s first lesson, they won’t be able to play a song from start to finish. They won’t be able to read music. They won’t know all the notes or how to make the sounds they want. Even a few weeks’ worth of lessons won’t be enough to turn them into a self-guiding musician. As a result, kids are introduced to the concept of delayed gratification. They won’t become expert instrumentalists overnight. Rather, they’ll discover their skills only improve through daily practice and commitment. And once they start seeing these results, they’ll understand that the only way to improve is to practice. Music lessons for kids teach more than how to play the piano or violin. In fact, many parents may agree that the actual playing of the instrument isn’t the most important part. Music and math go hand in hand. Kids learn patterns, fractions, and other mathematical elements through learning music. You might see an academic boost if your child commits to learning music. In addition, social skills and confidence may improve over time through music lessons. Motor skills like coordination, balance, and movement may also get a lift. But perhaps the most important part is that music lessons reinforce the notion that hard work pays off. If you want your kids to develop discipline through music, you need to choose the right outlet. Some experts will tell you that the piano is the best beginner’s instrument because of its wide keys and visual elements. However, that doesn’t mean it’s the best choice for every child, especially if they have no interest in it. If teaching them piano isn’t favorable, auxiliary percussion instruments like the cabasa or triangle are inexpensive alternatives. In addition, you might consider voice lessons in lieu of a physical instrument. They get similar disciplinary benefits through singing as they do from playing without investing in a real instrument. It’s important to note that self-discipline doesn’t just happen because your child takes music lessons. He or she must also be interested in learning new skills. You can get them excited for music lessons by helping them understand the benefits and showing them how much fun learning and practicing a new skill can be. 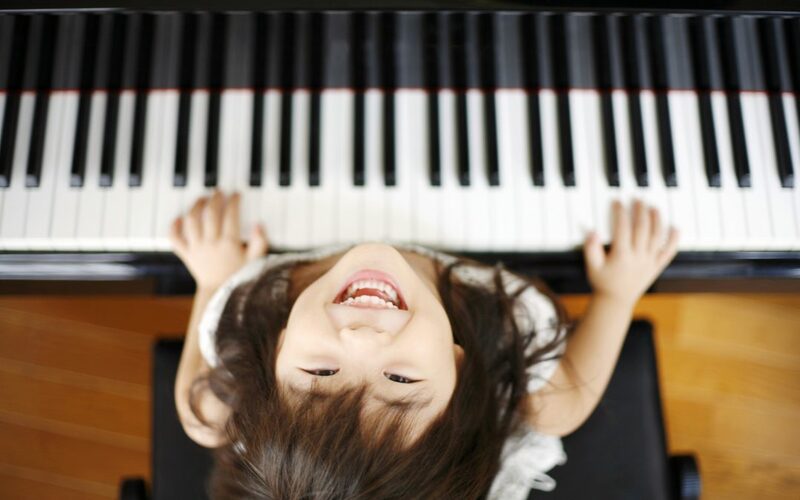 For more insights into how kids can benefit from music, check out our blog.